Bummit is all about the charities and knowing all the money raised goes towards local charities that do inspiring work across the board to make the world a better place. Each year we make sure that 85% of the money raised is donated locally so that we can contribute to the community and built up local partnerships. 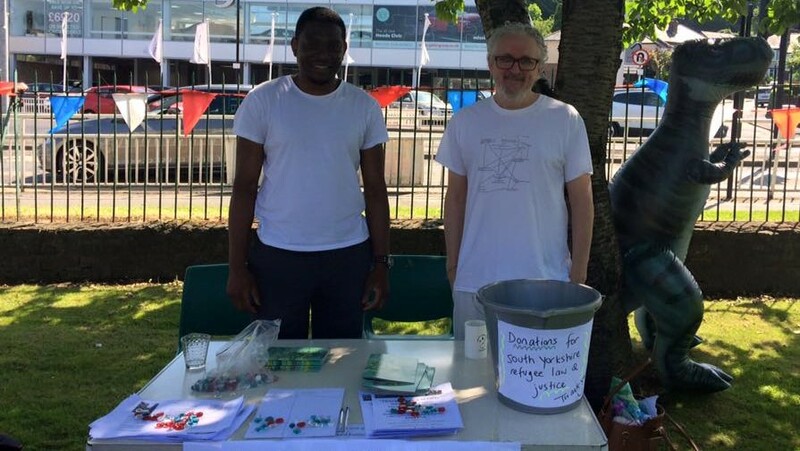 South Yorkshire Refugee Law and Justice are a tiny charity that helps asylum seekers prepare fresh claims for protection. They give legal advice, find new evidence and do country research. The service is free, independent and confidential. They provide people with support at their lowest point, after their first claim has been refused, when they cannot find a solicitor and may be destitute. Their work helps clients move their cases forward, to feel safer and put themselves in a position where they can apply for Home Office accommodation and subsistence. Our fundraising can give an asylum seeker a second chance on their case and tell them they are not alone at a frightening time in their lives. The money raised will go towards things like office equipment to allow the volunteers to work and paying for an hour session between a client and a professional interpreter. Their aim is to address and reduce poverty in the High Peak and Derbyshire Dales areas through employment support to help long term unemployed people with complex issues into work, advice and advocacy to help people resolve issues that cause poverty. They help by giving food to prevent immediate hunger, support tot sort out the crisis and help people find jobs so they don't have to face poverty again, this is done through Zink Employment. Some examples of what the money raised would go towards include: An interview area for advice work and work coaching for £1500, Laptop with Microsoft office and security for £550 and help with covering our insurance bill of around £2000 a year. Their CEO is a current University of Sheffield student! 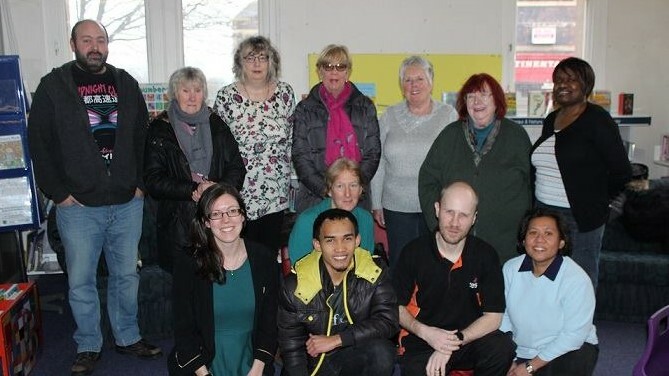 They provide free opportunities to learn English in order to help tackle social and economic isolation to the most disadvantaged and isolated members of the Sheffield community, Many learners are women, some are new arrivals, others victims of trafficking and others have barriers such as care or health preventing them from accessing mainstream provision. The teaching they provide gives essential life language skills which empowers the learners to engage in their lives in a more meaningful way including social integration, accessing services, participating in their children's education and moving onto further education or employment. Some of the money raised will potentially go towards teaching equipment such as flip charts, stationary books, whiteboards with pens, resource books and more. Across Sheffield, they manage a helpline via a dedicated freephone number everyday of the week as a first point of contact for the provision of domestic abuse related information and advice for victims and professionals. The helpline provides: Needs & risk assessment; Safety and support planning; Facilitation of access to relevant services including housing, welfare benefits, employment, education & training, children’s services, health provision (including mental health), substance misuse services, legal advice; 1 to 1 support for up to 4 months and much more. The money raised could potentially be spent on a care package for each person that includes essential toiletries as well as a £10 supermarket git card for a total of £20. 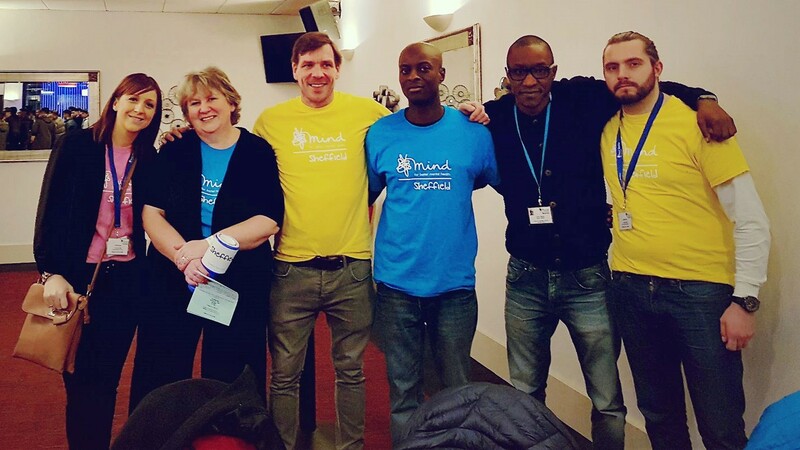 Sheffield Mind offer support services such as the ‘mens action group’ which helps men suffering from mental health issues talk about their feelings in a more informal setting. They aim to attract people who have failed to engage with the traditional mental health services on offer. They also offer a drop in service called ‘Friendly Friday’ which aims to help address feelings of isolation and loneliness which often are associated with mental health issues. By providing support tailored to each individual's need, they can help people overcome their difficulties, become more emotionally resilient and more able to cope positively in the future. 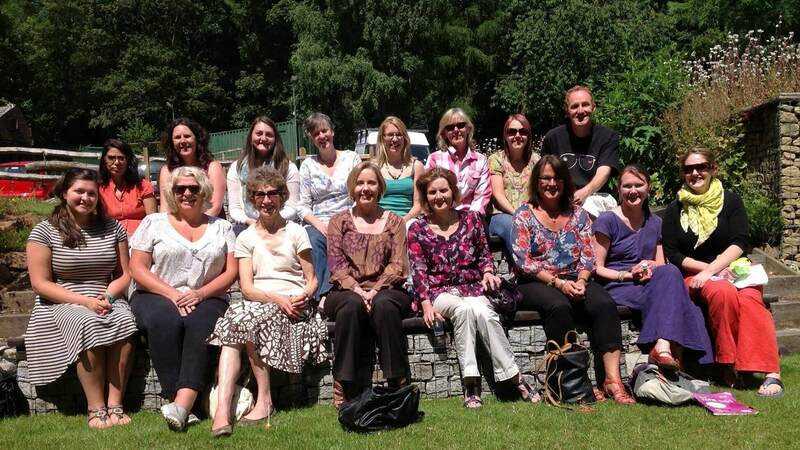 Sheffield Mind is governed by a Board of Trustees with services delivered by a team of staff and around 50 volunteers. Founded in Sheffield in 1989, HARC provides a safe haven for vulnerable men and women over the Christmas period when other services are closed. They provide 3 meals a day to guests as well as other services like hairdressers. 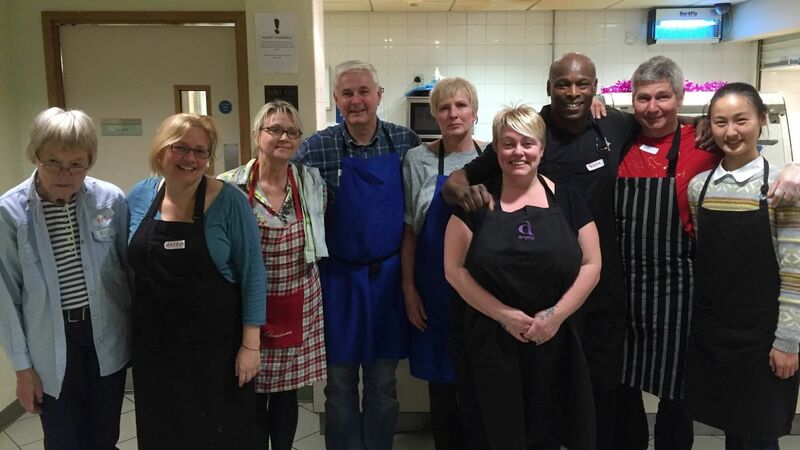 This organisation relies on the help of around 300 volunteers, they cook and serve food and welcoming guests to providing services such as hairdressing, dentistry, healthcare to running arts & crafts activities. HARC do not receive any statutory funding and totally rely on donations and fundraising activities. If you are interested in donating please click here. Students are able to volunteer for HARC by completing a volunteer application form via our website, click here for more. SYEDA provides support to anyone affected by an eating disorder to enable them to reach a full recovery. They offer one-to-one support as well as group support and courses to encourage a healthy body image and raise awareness of the importance of eating disorders to the wider community. All of their services are independent and confidential. You do not need to be referred by a GP or a professional, you can just make an appointment yourself. Some examples of what the money raised will go towards: £300 would contribute to the costs of one person accessing up to £18 sessions of counselling; £280 for guided self-help manuals and diaries; £300 for training course for carers x 2 per year; £300 for ‘My Body My Self’ course for sufferers 2 x per year and £100 for the production of leaflets and posters promoting their services. The Zest Centre and delivers health, employment, training, social and physical activities to adults and children from across Sheffield, with a particular focus on the neighbourhoods of Netherthorpe, Upperthorpe and Langsett. Inside the centre you will find a swimming pool, 2 gyms, exercise studio, health improvement schemes, advice services, a public library, a café and more. Some examples of what the money raised will go towards: £250 -Youth club update at Zest. The club opens 3 nights a week and engages over 300 children and young people from the community; £200 for a carers trip to Chatsworth. This group supports carers who are often isolated due to their responsibilities and 2 x £34 Mini hobs. This will allow them to run cook and eat sessions in the community, increasing their awareness of healthy eating on a budget. Femme provides essential menstrual health education, and the provision of reusable sanitary products for women and girls in East Africa, specifically adolescent girls. There is a major gap in education when it comes to menstrual health (due to lack of information and the stigma). Femme empowers girls to feel in control of their bodies, and fills an essential gap in women's health. Main objective is to fund equipment for use in the Hallamshire, Northern General and Children’s Hospital for patients with a range of debilitating Neurological conditions such as Brain Tumours, Parkinson’s disease, Motor Neurone Disease, Head Injuries, Stroke and many more. As well as this they also fund ground-breaking research projects to help develop the range of knowledge we have about neurological conditions. A day centre for vulnerable, homeless and socially-excluded adults in Sheffield. They Offer creative groups, key skills groups, sports, cooking, drama, relaxation, women's group, men's group, allotment project, carpentry. They have a café and dining room where they provide cheap and nutritious meals. They Run workshop skills groups to help complete orders of bird boxes for industry. Recently had ballroom dancing which went down well! They have recently built a block of 20 one-bedroom flats where people who have experienced homelessness can live for up to 2 years while getting support on how to live fulfilling independent lives when they move on. Provide supported accommodation to young teenage parents, young girls who are pregnant and who have been subjected to domestic and sexual violence. They also support disadvantaged families, promoting independent living, empowerment and the chance to live a more fulfilled, safe and healthy life. Based in the Sheffield, Rotherham and Doncaster area. They provide education on pre tenancy and tenancy support, parenting and lifestyle skills, debt management and budgeting, advocacy and advice, support with dealing with domestic violence and sexual violence and exploitation and education around independent living and healthy and safe living. One of the biggest wheelchair basketball clubs in the UK. The club runs 7 teams in the British Wheelchair Basketball League from Junior League to Premier League and has members from age 12 to 50+. The club runs training and competition for both male and female players. Over the years, the club has nurtured many current and former Paralympians but also provides sporting opportunities for disabled people at a recreational level too. Most of the members have Spinal Cord Injuries and others have lower limb disabilities such as amputees, cerebral palsy etc. StopGap seeks to meet the needs for emergency accommodation for homeless people in Sheffield all year round. In the last year, Stop Gap provided 599 bed nights of accommodation and breakfast to 318 homeless and vulnerable people. With our funding they aim to be able to extend the stays of clients, and also, in exceptional circumstances, assist with rent. Provide accessible transport and social opportunities for people unable to use mainstream public transport in the southern part of Sheffield City Region Bolsover and North East Derbyshire Districts. Without the service these people would be at high risk of social isolation or find it difficult to live independently. The passengers have a range of disabilities, or limiting health conditions and the majority are elderly. Many use mobility aids. This service ensures that frail, elderly and/or disabled people can still live independently, participate in social activities and community life. The organisation works with the local residents of Darnall - one of the most deprived areas of the city where the entire population live in areas classed amongst the 10 percent most deprived areas in England. The organisation works with offenders/ex-offenders from South Yorkshire by offering around 20 supported work placement opportunities over a 12 month period, who will match the delivery of services and activities to benefit different community groups, including women only groups, activities for the elderly population who might be isolated, youth provision, and so forth. Ashiana Sheffield has over 30 years’ experience working with Black, Asian, Minority Ethnic and Refugee (BAMER) adults, children and young people fleeing domestic and sexual abuse. 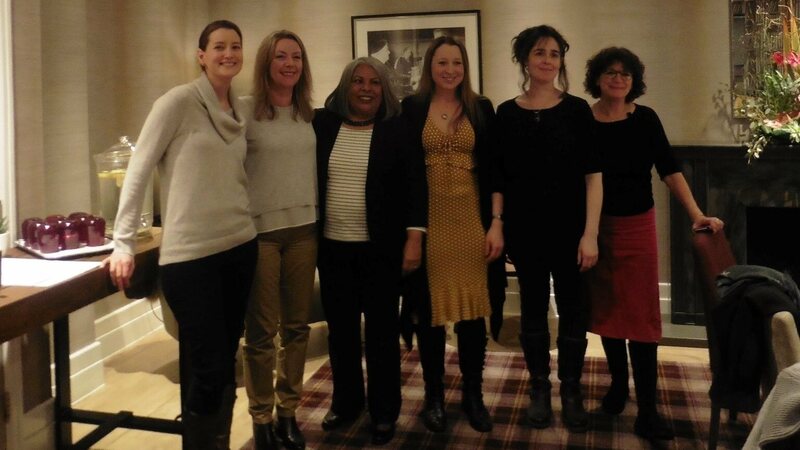 They offer support and advice for women experiencing extreme forms of violence and abuse within a range of multiple perpetrator systems such as forced marriage, gang violence, sexual exploitation and ritual or 'honour' based violence.They offer a personalised package of support to all victims and support them emotionally and practically. They also support male and female victims of human trafficking across the north of England, and run 2 refuges for the most vulnerable female victims. Their mission is to improve the early detection and care of babies with serious heart conditions – giving these babies a better start in life. Heart problems are the most common congenital birth defect – affecting around one in every 125 babies. These can be so serious they will require open heart surgery or other complex procedures during their first year of life. Sadly at least 1,000 babies will be sent home with no-one realising that they have a serious heart problem and so their Think Heart campaign is educating health professionals and new parents of the signs to look for if baby is unwell. Early detection means babies get the treatment they need from the first opportunity – which can save lives, improve post-surgery survival rates and lead to a better long-term quality of life. 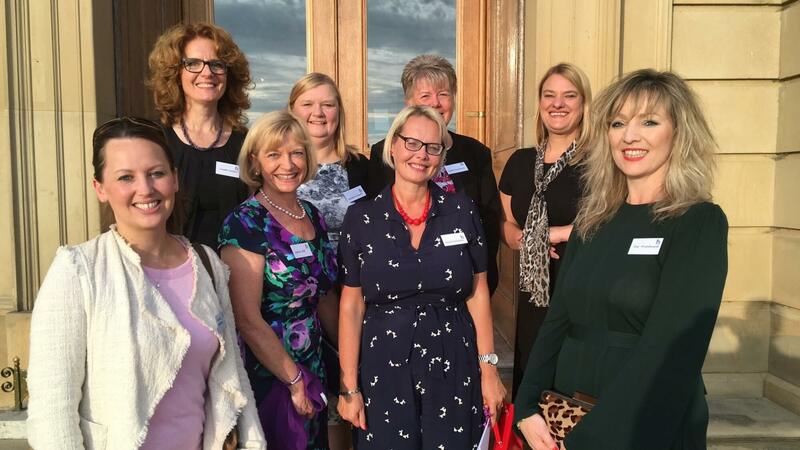 St Luke’s Hospice cares for adults with progressive life-threatening illnesses; aiming to control their symptoms, alleviate pain and give them the best quality of life. They also provide support for families. 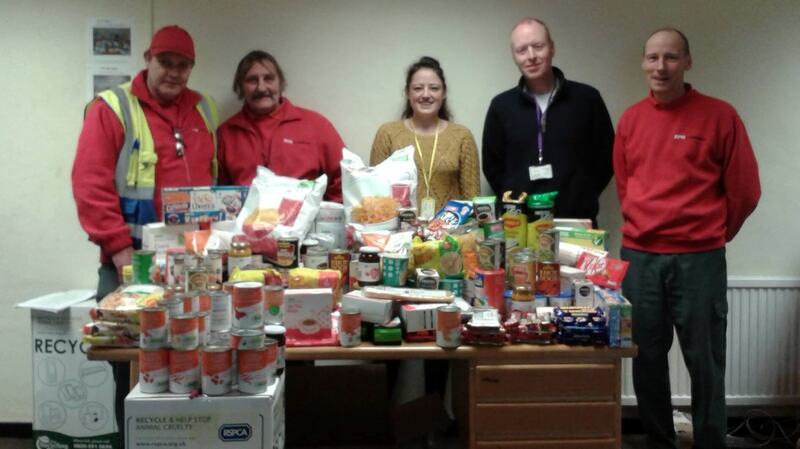 Last year they helped 5,000 people in South Yorkshire affected by terminal illnesses. Supports homeless adults in Sheffield, helping them break the poverty cycle and achieve a better life. Each year they help around 1,000 homeless people, providing them with the opportunity to get back on their feet. Provides opportunity, support, friendship and services to blind and partially sighted people of all ages in Sheffield. SRSB aims to ultimately improve their client’s quality of life and help them to achieve whatever they wish to do and whatever they aspire to be. Each year they support over 3,300 partially sighted people. DDVSAS work with women, men and children who have been victims of, witnessed or experienced domestic abuse. They support them to find and maintain safe accommodation, keep themselves and their children safe and to minimise the risk of future abuse. Last year they worked with approximately 5000 clients in total, including women, men and children. S.A.L.V.E. International is a small British and Ugandan Charity working with young people aged 6 to 25 living on the streets of Jinja, Eastern Uganda. They provide opportunities for young people to return to a safe family home and re-enter education so they have a future full of opportunities. Assist Sheffield challenges the terrible conditions that some refugees seeking asylum in Sheffield live in. Not only do they provide food, shelter and community referrals they also run an advocacy service which helps refugees with their claim for asylum in this country. Margaret Carey collect old bikes and wheelchairs and set up workshops in ten prisons across the North of England. They work with prisoners who aren't involving themselves in the mainstream prison system. These are predominanently young males who are likely to reoffend. The prisoners work towards qualifications in bike maintenance by restoring and repairing old bikes. These bikes are then redistributed and taken to disadvanteged areas. SYEDA help people in South Yorkshire who suffer from eating disorders. They provide one-to-one support as well as group support and courses to encourage a healthy body image. They also raise awareness of the importance of eating disorders to the wider community. Newlife provides equipment for disabled children in South Yorkshire. 100% of their funding goes directly to the children. This equipment includes special beds, prams and car seats and can mean the difference between comfort and pain for disabled Sheffield in our area. Burton Street are a non-profit community organisation who predominantly specialise in supporting adults and older children with learning and physical disabilities. Based in Hillsborough, they are also a community centre and have over 50 different clubs, charities, societies and organisations based there. Burton Street is full to capacity at the minute and a second site is currently being developed to help 60 children and 200 Adults per week. Burton Street helps promote communication and confidence through sport, art and cooking. Roundabout are a local charity providing shelter and life skills to young people. They help over 150 people each day and provide emergency accommodation for those in crisis, as well as medium term accommodation such as shared housing. Roundabout help young people develop life skills to break the cycle of homelessness. They also provide peer education services and organise other activities such as for other homeless individuals to give talks to schools as a preventative measure. The Children’s hospital is one of the only four stand-alone children’s hospitals in the UK and fund four key areas each year including: Research in to the prevention and cure of childhood illnesses, new facilities to extend the range of treatments provided, improvements to the hospital and specialist medical equipment. They have over 240,000 patients each year, but unfortunately do not have enough space for what is needed. The Sheffield and Rotherham Wildlife Trust is the largest voluntary charity in South Yorkshire. They run national conservation projects which aim to reconnect habitats by working with nature to provide the ecosystem services depended on for life, and also address other environmental issues through activities such as conservation work days, wildlife surveys and land management work. In addition, they run Wildlife Watch - A project for ages 8-12 to enable them to learn more about the environment. Last year Sheffield and Rotherham Wildlife Trust had 15,000 volunteers and engaged with 8,000 children. Overall, they help form positive relationships with the natural world. ELHS is a local project which provides services for older individuals in need. 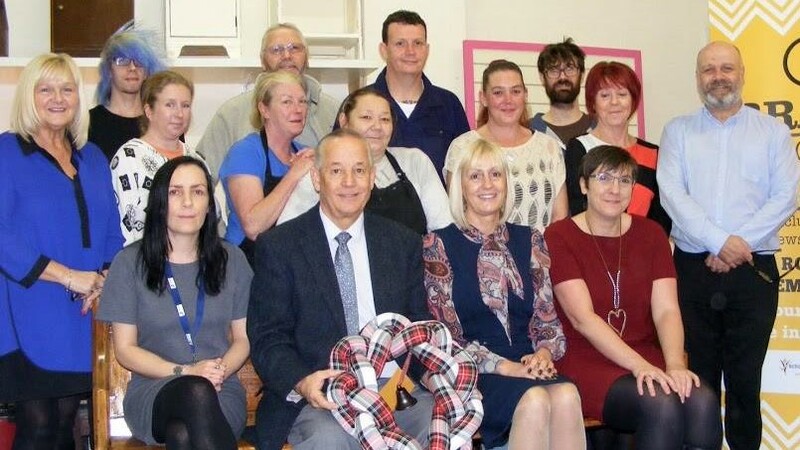 This project helps to break social isolation and allows those in need to engage with each other through weekly organised activities, a one-to-one befriending service and a telephone contact and prompt service. In addition, ELHS hold a monthly social event for the males called ‘Blokes Aloud’. This event includes taking the group out to different pubs around Derbyshire for a meal and a drink together. ELHS’s aim is to maintain the independence of old people. TOLFA is an animal hospital and shelter based in Rajasthan in India. They provide necessary healthcare to sick/injured animals, and by doing so, also help to save lives through preventative measures such as vaccinations. TOLFA also provide education for children and help to provide employment for those who may not have got jobs due to social inequalities. Safe@Last is a Sheffield based charity which supports children who are at risk through running away from home when they feel they have no other alternative. They offer one-on-one support to over 220 children, a 24 hour helpline and a Missing Young People’s service.